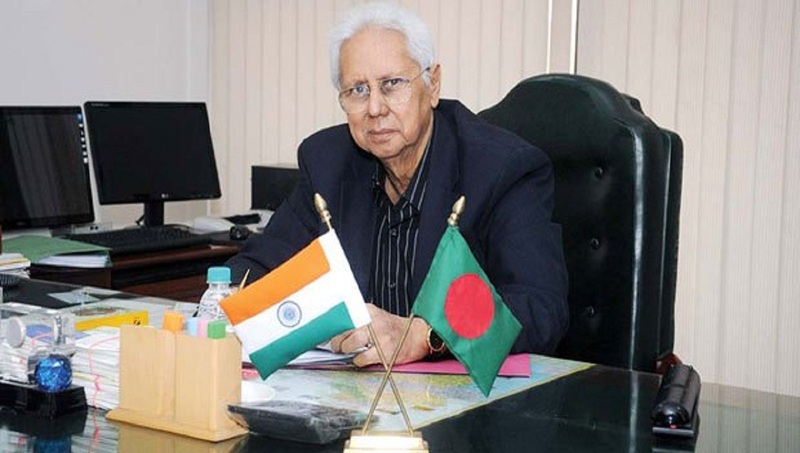 Dhaka, Dec 6 : Bangladesh High Commissioner to India Syed Muazzem Ali on Thursday said Bangladesh and India have been able to consolidate the friendly bilateral relations to a new level which is well beyond the “strategic partnership”, under the leadership of two Prime Ministers. “We count on India’s assistance in furthering our successes. Together, we would build cherished ‘Shonar Bangla’ [Golden Bengal]. That would be the best tribute we can pay to our martyrs and freedom fighters. And, of course, Bangladesh’s success will be your success, as you were directly involved in the birth of our nation,” he said. High Commissioner Muazzem Ali said this at a seminar commemorating Bangladesh Liberation War of 1971 at Jawaharlal Nehru University (JNU) on Thursday. JNU and India Foundation, a think tank, jointly organised the seminar, said the High Commission in New Delhi. JNU Vice-Chancellor M Jagades Kumar and India Foundation director Maj Gen Dhruv Kotoch also spoke at the event. Muazzem Ali said Prime Minister Sheikh Hasina is ‘doing miracle in her mission’ of building ‘Shonar Bangla’, the dream of Bangabandhu Sheikh Mujibur Rahman. He said Bangabandhu’s bold and visionary leadership showed Bangladesh how to stand up from a war-ravaged situation and his able daughter current Prime Minister Sheikh Hasina is doing miracle in the mission of completing her father’s unfinished tasks. “The contributions of these two great leaders of Bangladesh, the father and the daughter, have been best described by none other than the Prime Minister of India Narendra Modi, who said, “Bangabandhu founded Bangladesh and his daughter Sheikh Hasina saved it”, said the freedom fighter-turned diplomat. He said Bangladesh, under the dynamic leadership of Sheikh Hasina, is today one of the fastest growing economies in the world with 7.86 percent GDP growth. “Bangladesh is now often mentioned as a ‘model of economic development’. Recently, we have qualified for the graduation from LDC status to the status of a Middle-Income Country. Our ultimate pursuit is to emerge as a developed country by 2041,” said Muazzem Ali. Recalling with gratitude India’s wholehearted support to Bangladesh Liberation War, the envoy paid homage to the brave Indian soldiers who had laid down their lives for the independence of Bangladesh. He also paid tributes to the valiant war veterans who had fought side by side with them in War of Independence in 1971. The envoy told the seminar that the Bangladesh Prime Minister, during her last visit to India in April 2017, honoured members of the families of Indian martyrs through an unprecedented Sommanona or honour giving ceremony in Delhi. Some more families of the war martyrs will be honoured at the upcoming Victory Day on December 16 at the Eastern Command in Kolkata, he said. Bangladesh also honoured with the “Friends of Bangladesh Liberation War Award” all its friends who had extended their support and cooperation to our War of Liberation. “The emotional bonds stemming from the invaluable contributions of the government and people of India during our Liberation War remain a dominant factor in Bangladesh political, cultural and social wave,” said Muazzem Ali.